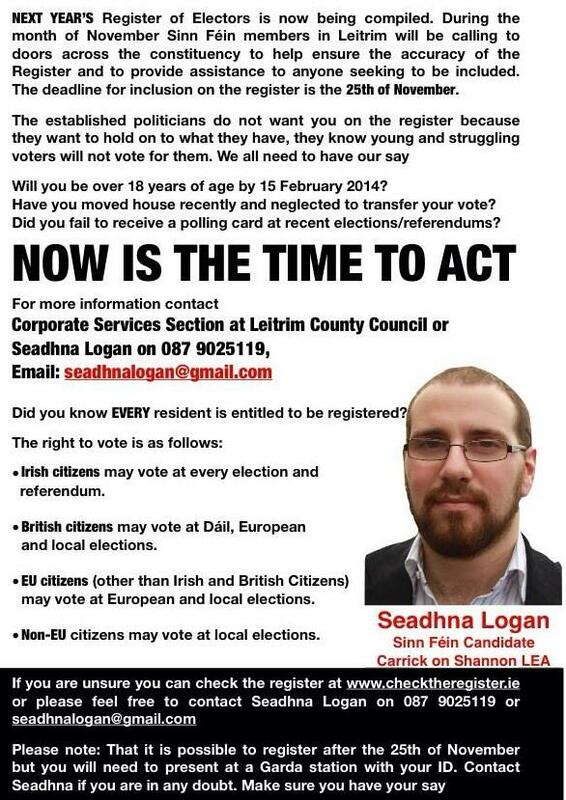 “Put Him In To Help You Out” a leaflet from Carrick on Shannon based Independent Councillor Des Guckian who will be running in Sligo Leitrim. 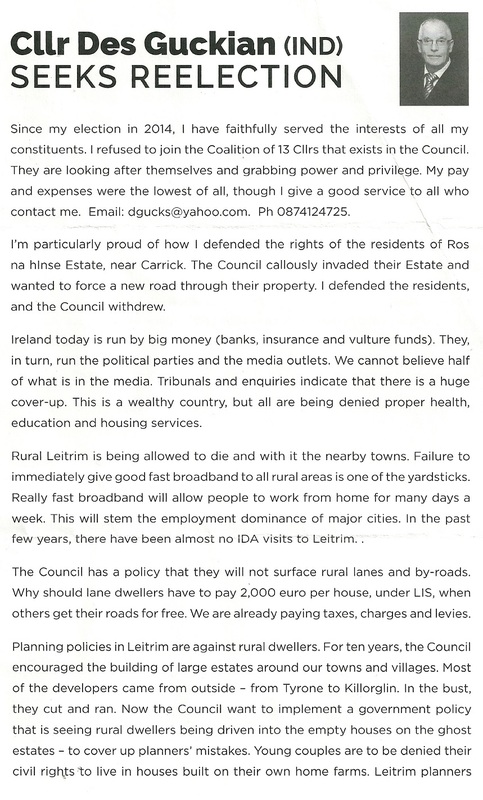 A leaflet from Independent candidate Felim Gurn who is running in the six seat Manorhamilton LEA for a seat on Leitrim County Council. 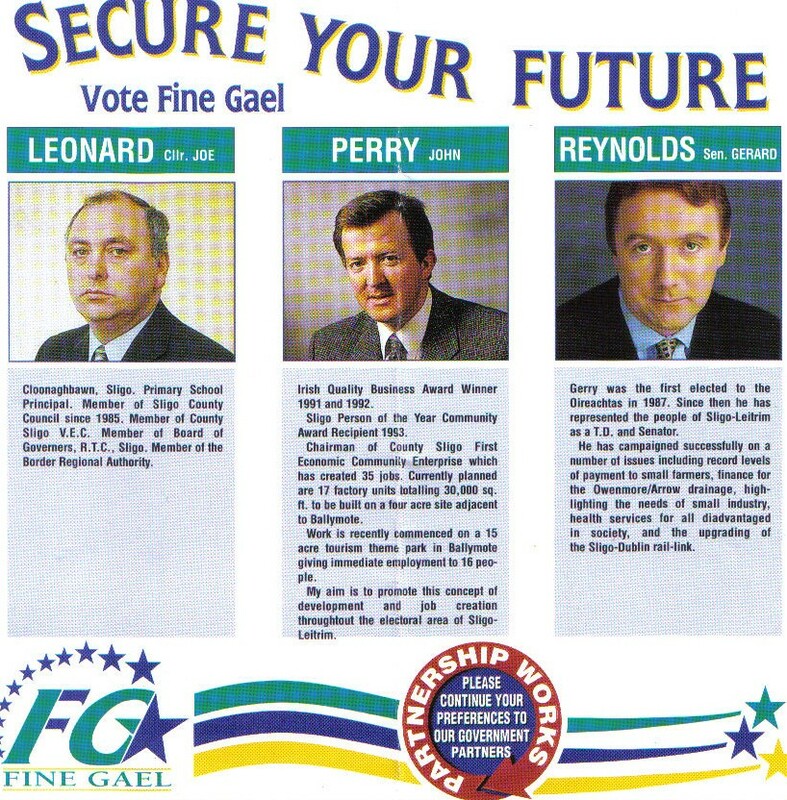 Joe Leonard, John Perry and Gerry Reynolds from the 1997 General Election in Sligo-Leitrim. 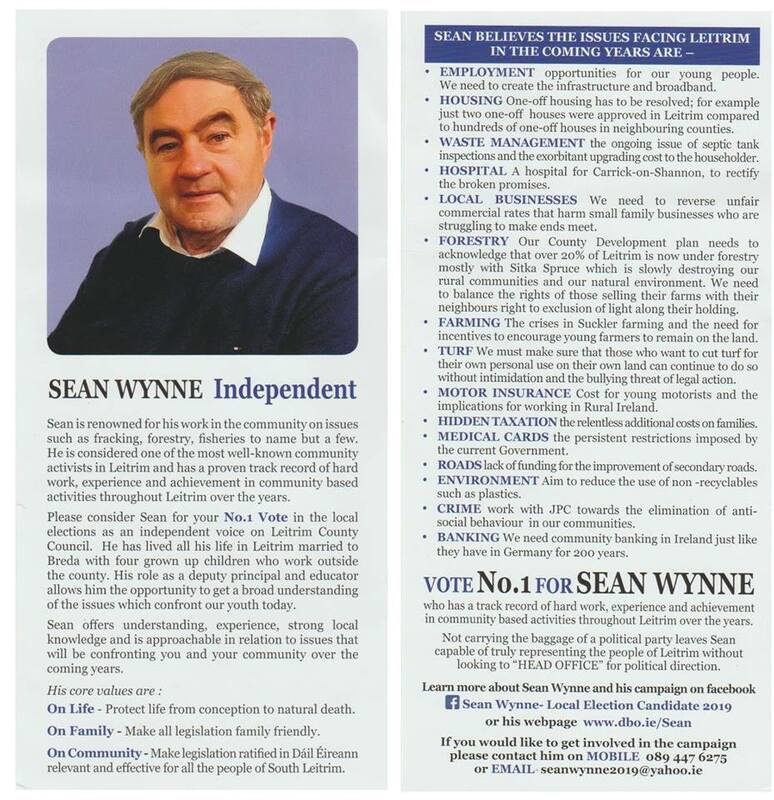 With Ted Nealon having retired and Labours Declan Bree holding a seat, Fine Gael had a challenge to win a second seat. In the end John Perry and the Leitrim based Gerry Reynolds won seats, with Decklan Bree losing out. John Perry mentions work having started on a 15 acre Tourism park in Ballymote. Was this completed?